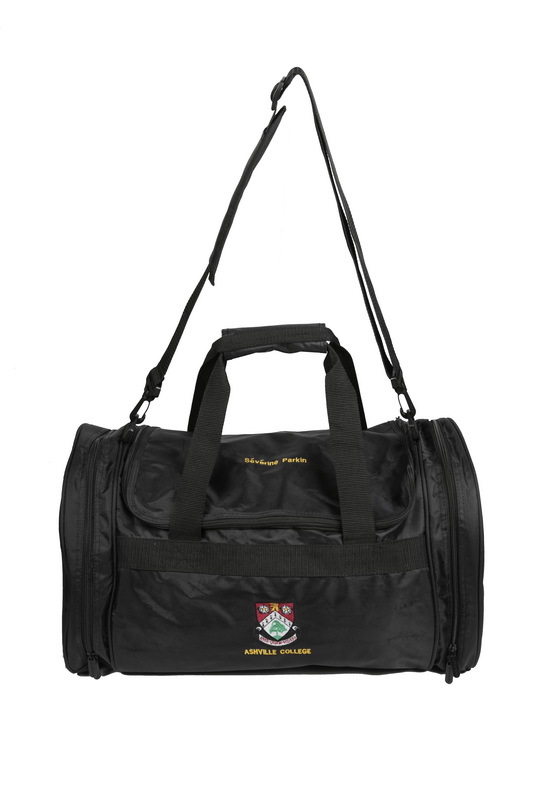 Ashville Sports Bag black 100% polyester with school badge. Add Pupils name in comments box. Ashville Sports Bag Black with school Badge.